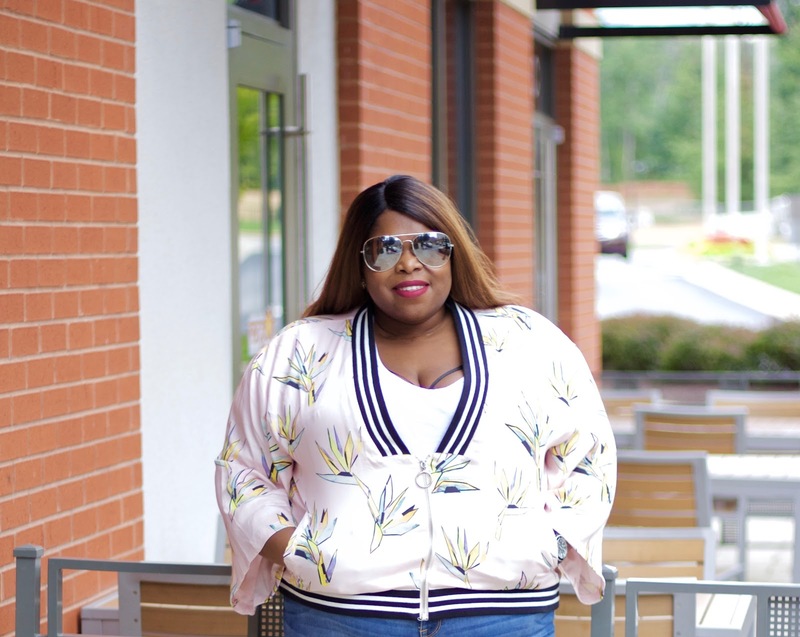 As I continue to love the reemergence of the classic bomber jacket these past couple of years, one would think I'd have, like, a rack of 'em in my closet. Nope. 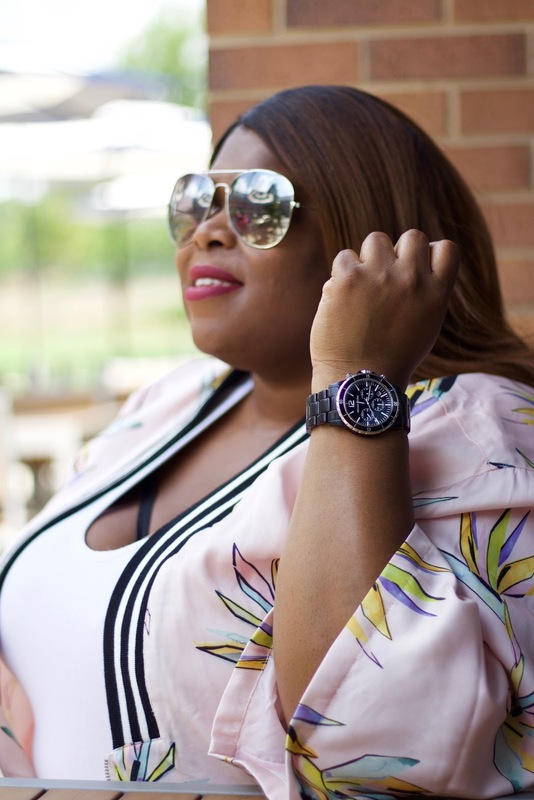 I only have two: a sporty metallic one that I've worn a couple of times but hasn't made its debut on the blog yet and the kimono inspired one you're viewing now. 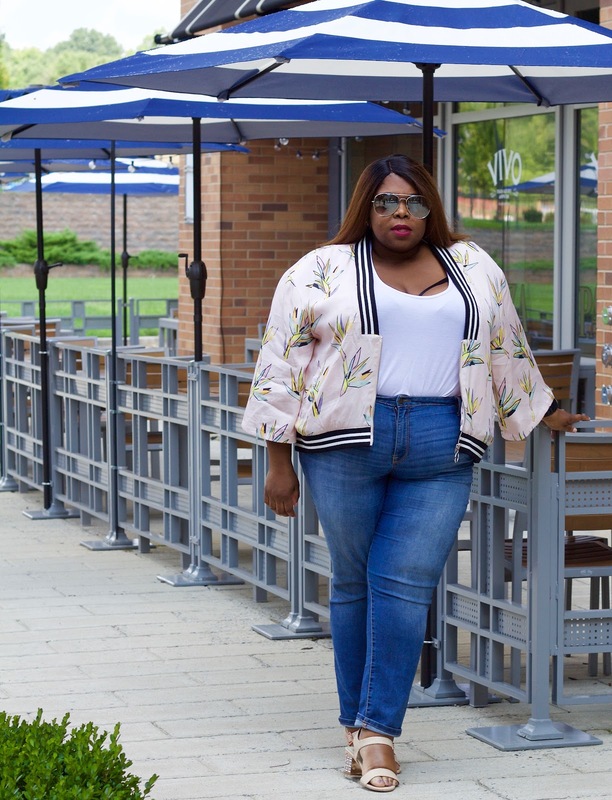 Clearly, I'm into bomber jackets that make a statement. 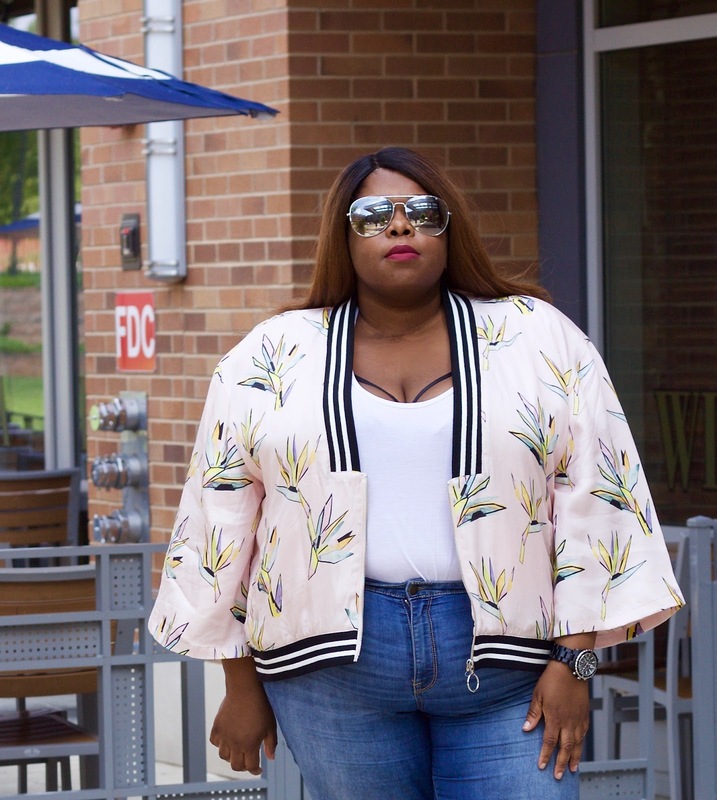 The kimono bomber is from a new online brand called Premme and the creators behind the brand are none other than Gabi of Gabifresh and Nicolette of Nicolette Mason. For me, this jacket, and the matching mini skirt, were the standouts of their summer collection. Honestly, though, I knew I would wear the jacket in the fall season. And I shouldn't say fall, either, since we're technically still in summer. But you know how we get. After Labor Day, it's unofficially fall. Doesn't help that the weather here in the DC area has totally become cooler, even nippy some days. Anywho, like I was saying, the jacket would be a great layering piece over a fall look.